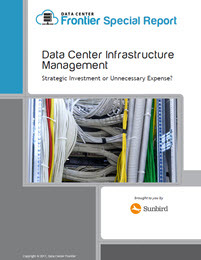 The explosive growth of digital commerce, mobile applications and streaming content continues to drive requirements for more processing and storage capacity which means your data center infrastructure management (DCIM)tools need to monitor, manage and optimize every resource and process to meet these and other rising demands. Managing the facility and IT infrastructure to be able to meet the escalating demand for performance and capacity, as your customer base grows and data increases, can quickly become complex and costly. In today’s highly dynamic and competitive digital economy the need to manage ever evolving IT resources and continuously optimize data center operations and efficiency is no longer an option, it is a necessity. While data centers vary in size and capacity, their overall purpose is essentially the same, however to one degree or another, they are each somewhat unique. Moreover, if you ask ten potential users what aspects of DCIM they are most interested in and what benefits they expect of a DCIM system, you may get a dozen or more different answers. When it comes to DCIM offerings, not every vendor’s solution will address all the specific issues and requirements for every organization. When considering why you need a DCIM platform, first consider your organization’s most immediate pain points, such as lack of operational visibility, or manual surveys of available rack space, power density and circuit capacity, that are either recurring or require constant attention and place large demands on your staff resources.